but there is a lot of and practice and many thousand of hours are required to gain that skill. There's a lot to consider even if you are among the best players. Becoming a pro is not an easy task, there's far more to it than simply knowing how to aim at enemy's face. There are many professional players with lots of tips and different strategies, I've collected the TOP 10 tips that can make you a far better player. If you wanna join the race, the last thing you want is old computer or a slow internet connection. 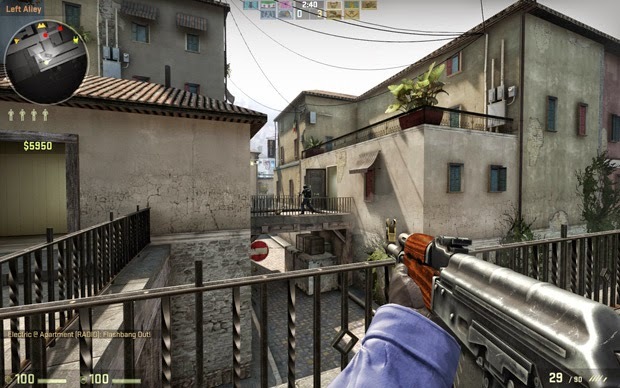 In a competitive game Counter-Strike, slight drop in FPS(Frames Per Second) could damage a lot. There are many quotes by famous Counter-Strike players related to it. If you really wanna get into a professional Counter Strike player, the chances are you already have spent more than thousand hours of playing CS, but the key to continuous improvement is to prectice in right environments. Demos of different players can be found on internet but make sure you practice too. Always keep an eye on radar as it tells you the whole scenario of your current game.. It tells you where your teammates are and whenever they call any radio message like "need backup" n all you can identify where your teammate is and if it is possible to help or not. Also the sound you hear it can be identified if your Teammate is there or your enemy is and you can spam accordingly. See this link for understanding the use of RADAR. As with all team-based games, but perhaps even more so with Counter-Strike, it's important to be in good contact with your team mates throughout a match. A lack of communication can be the difference between a decisive victory and an embarrassing, crushing defeat, so talking to each other is tremendously important. But simply maintaining contact isn't enough: it's imperative to be efficient with your communications.
. And be sure to get hold of a voice chat program such as Ventrilo or Mumble to utilise during practice: they allow you to speak to your team mates whether you're dead or alive, an advantage not afforded by Counter-Strike's in-game chat system. 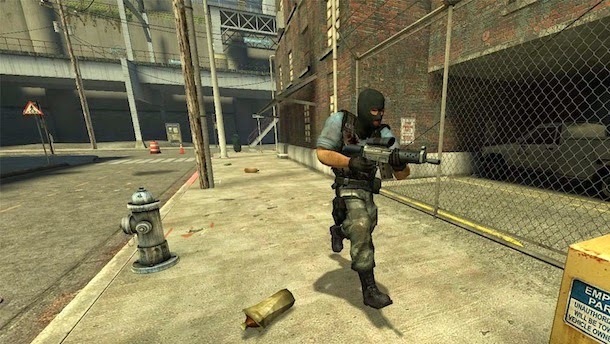 You might be tempted to pour all your spare hours into improving your game, but there's more to being a professional Counter-Strike player than simply playing Counter-Strike. Your team could consist of the best players in the world, but if no one knows who you are, you're probably going to end up going nowhere fast. Meanwhile, good grenade use can make all the difference. Counter-Strike isn't all about the combat tactics. It's also a game in which managing your money is key to high-level success. At a professional level, you'll need to make sure your finances are in check whether you're winning or losing, because ensuring your team is finely in-tune and well-timed with quick purchases is essential. It might sound obvious, but the only way you'll reach the dizzy heights of top-level professional gaming is to keep plugging away until you're good enough. It's a lot of work, and something you'll need to treat like a real job as much as play - even during those inevitable times when morale reaches rock bottom.